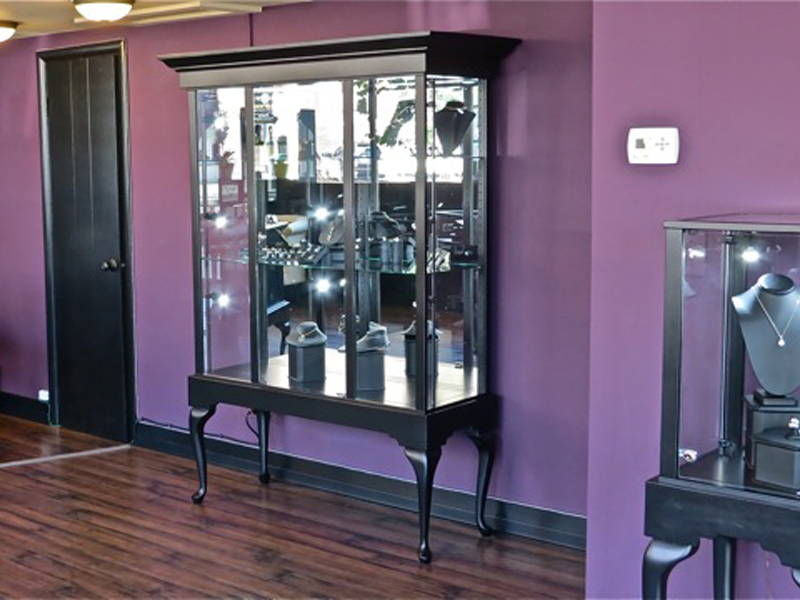 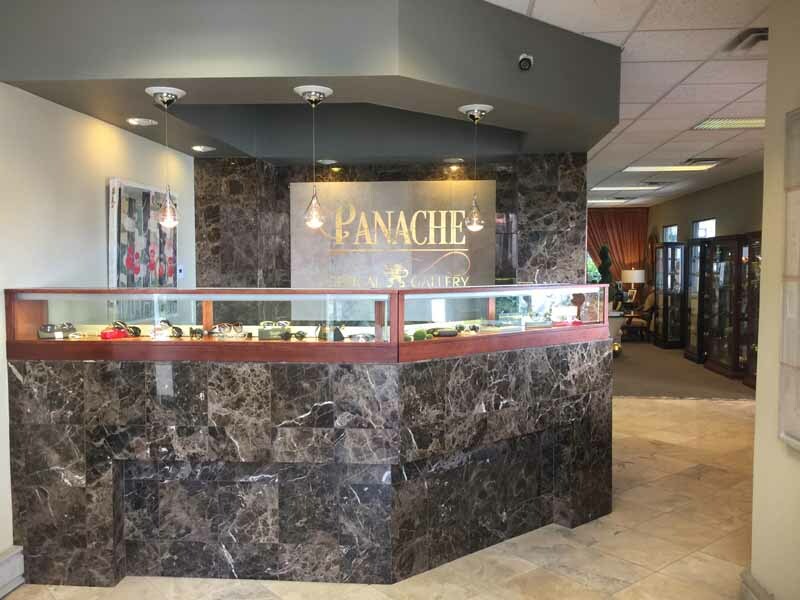 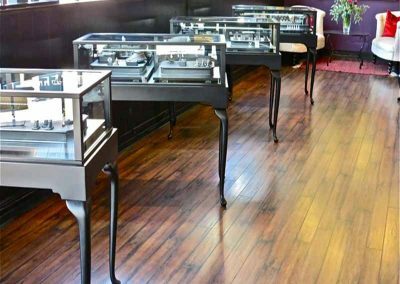 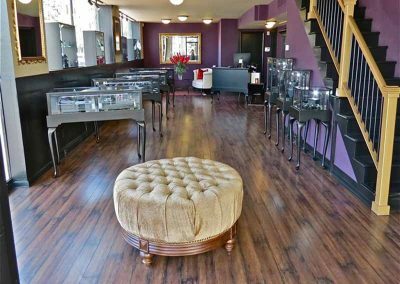 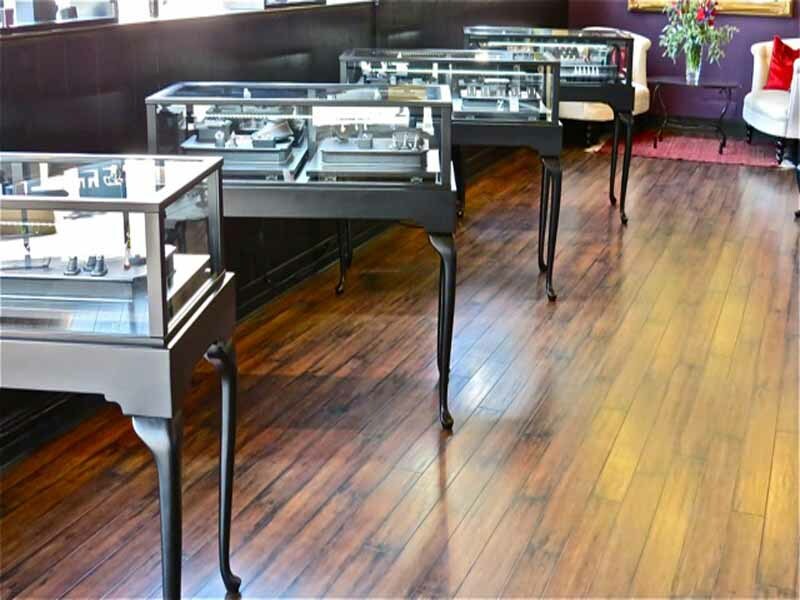 Phillip Portsche owns a custom Jewelry Boutique in downtown Boise, ID. 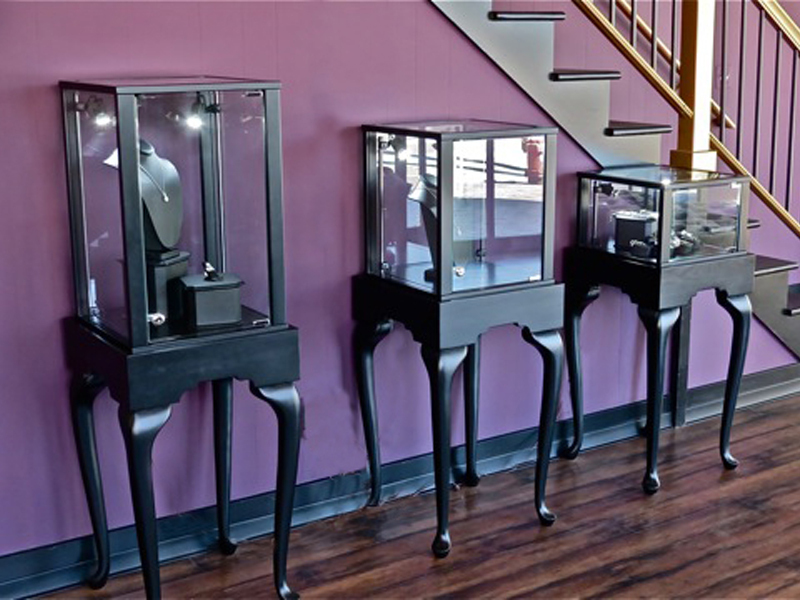 He is an artisan jeweler. 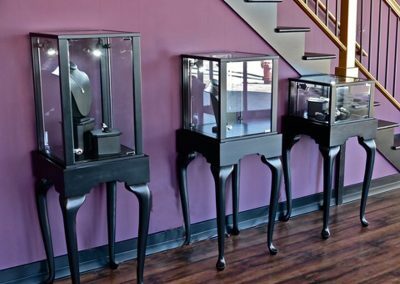 He called us to design some black Queen Anne display cases to replace some aging display cases. 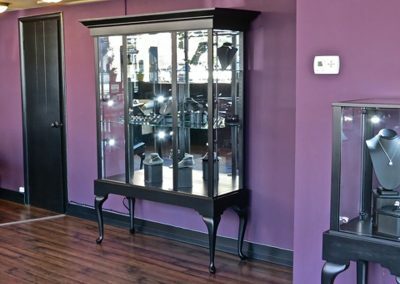 He wanted to create an elegant yet inviting environment in his store. 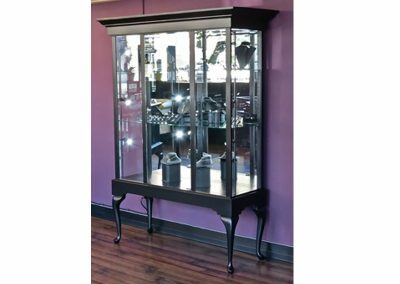 He has a staircase to a second floor and asked us to build some Queen Anne Pedestal display cases that would stair step in height that would sit next to the stairs. 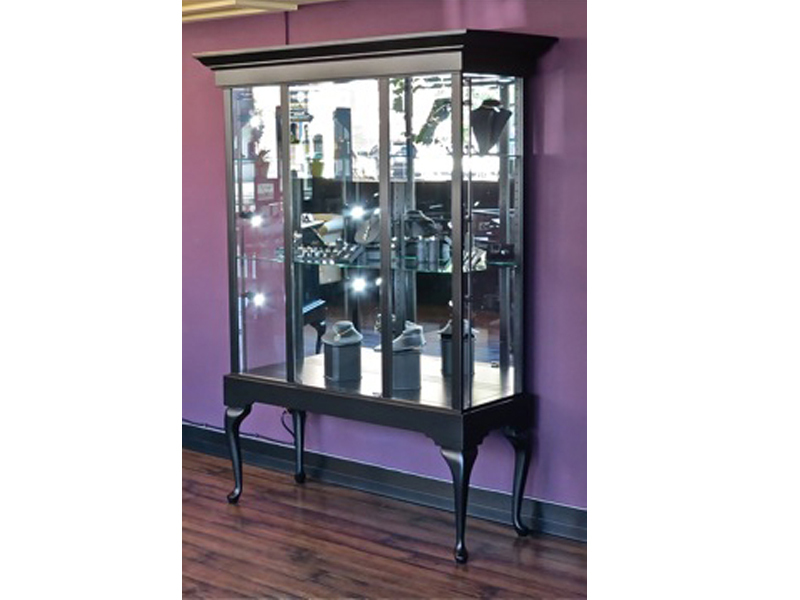 A 48” wide tower with adjustable shelves was used for larger items and necklace busts. 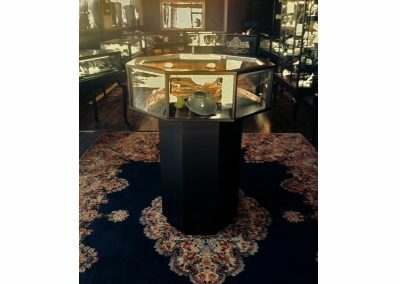 We developed a custom cash wrap that matches the display cases. 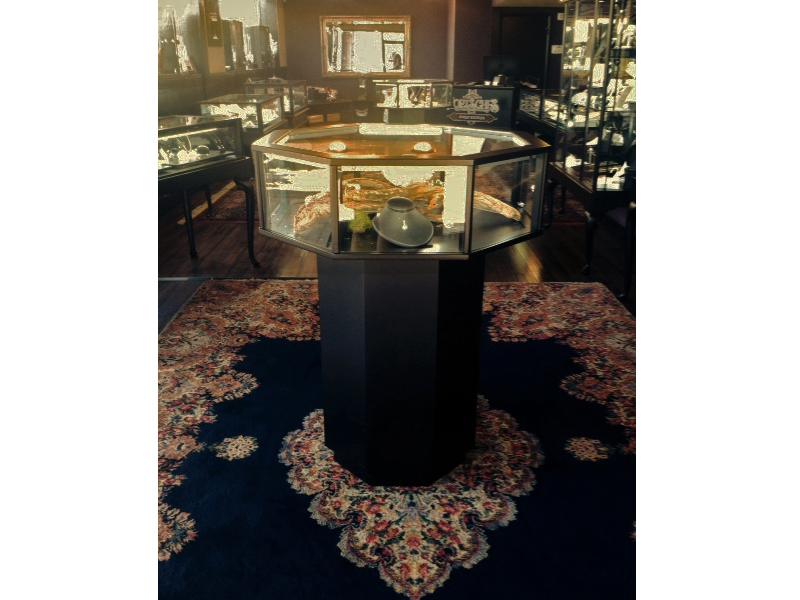 A few months later we received another call asking us to build two 35” diameter octagon pedestal feature cases for the center of the room. 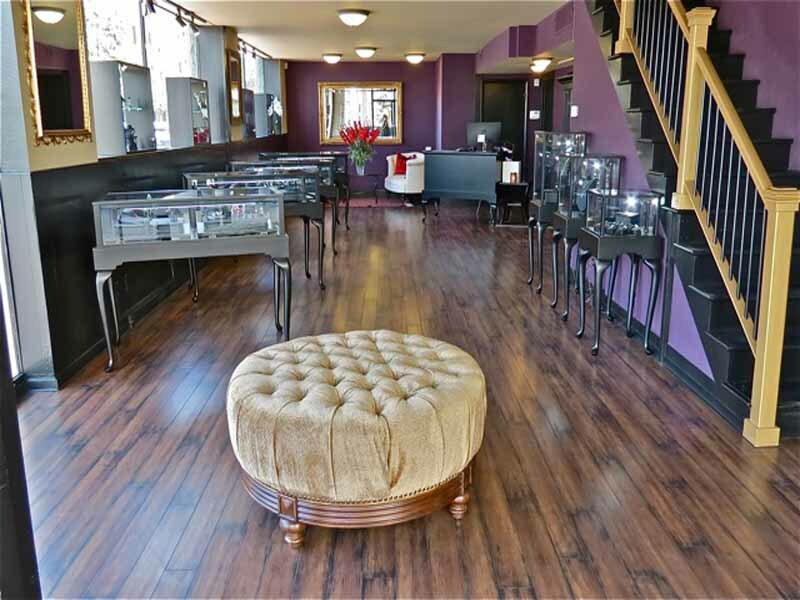 In the end they achieved the look they wanted at a very affordable price. 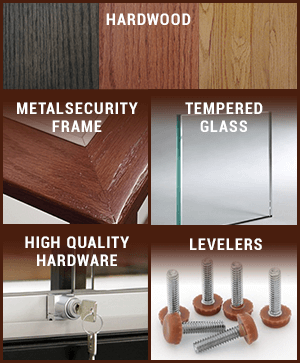 Switch: Toggle switch on side of base near the top so it is hidden.